Mumbai: State-run Power Grid Corp of India is on track to spend its planned five-year capital expenditure of ₹ 55,000 crore ($11 billion) by March 2012 and has achieved close to 80% of it till now, its chairman and managing director R.N. Nayak told reporters. The New Delhi-based firm is gearing up awarding contracts for its transmission projects in the second-half of the current fiscal to meet its capex guideline, officials told Reuters. “We have awarded contracts worth about ₹ 8,000 crore during the first half (of the fiscal) and have approvals for another ₹ 2,000 crore. We will do ₹ 15,000 crore more in the next five months," said T. K. Wali, executive director. Last fiscal, the firm had awarded contracts worth ₹ 20,000 crore, he added. Asia’s third largest economy faces frequent power cuts and is upgrading its infrastructure at a rapid pace. Power Grid, being the central transmission utility, has the mandate to expand country’s transmission capacity to keep pace with additions in the power generation sector. Shares in the firm, which is at present valued by the market at $9.2 billion, gained 2% in 2011 so far, bucking the negative trend in the benchmark index, which dropped 17% during the same period. The firm, that is owned 30.6% by public shareholders, expects to fund its capex plan by 30% internal accruals and rest by debt, said R. T. Agarwal, director finance. “We have raised about ₹ 5,000 crores from local bonds, ₹ 2,000 crores from external commercial borrowings and plans to raise about ₹ 5,000 crores via local bonds," Agarwal added. The firm with the network of 150,000 towers in India has leased 800 of its towers in the states of Himachal Pradesh, Punjab and Jammu & Kashmir and has floated tenders for leasing-out 30,000 additional towers this fiscal, chairman Nayak said. Power Grid has been shortlisted for two transmission line projects in Andhra Pradesh and Karnataka by the respective state utilities for carrying power from two independent power generation projects developed by Reliance Power and IL&FS group, Nayak said. “We will place our financial bids soon," he said, but declined to share the financials of the project. 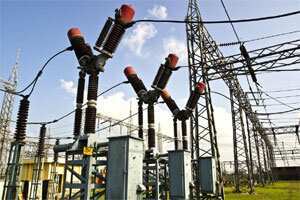 On Saturday, the state-run transmission utility had reported better-than-expected, or 9% increase in its September quarter net profit to ₹ 709 crore on net sales of ₹ 2,264 crore. Reuters poll of eight brokerages estimated a rise of 4.2% for September quarter net profit. Shares ended 1.77% higher in the Mumbai market that ended 0.92% higher on Monday.